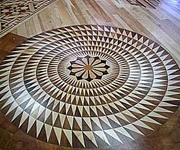 This design is an interpretation of the marble floor in the Rotunda at the Getty Museum. 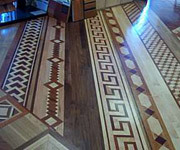 This design was part of the Showroom floor that received an award from the National Association of Wood Flooring. 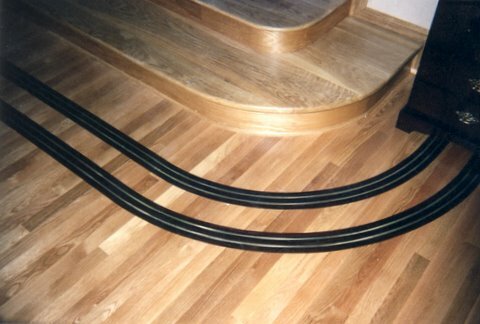 Repeating the curve of the stairs, Brazilian Black Wood and yellow Brass were installed beneath the entry stairs into the White Oak Strip Flooring. 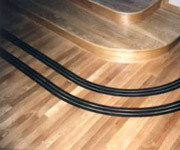 Clear grade White Oak flooring inlaid with Brazilian Black Wood and yellow brass. These are samples of classic borders interpretations. 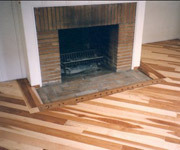 A rainbow of domestic and exotic woods. 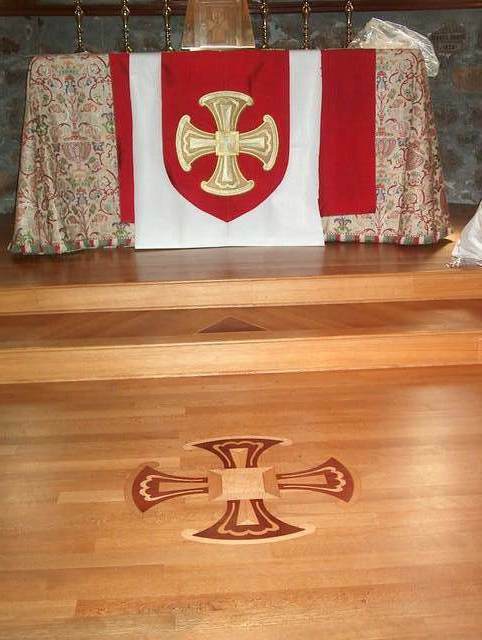 This historic Anglican Church was built in 1885. 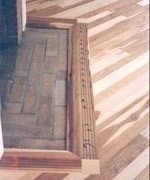 As part of this renovation, it received its first hardwood flooring. 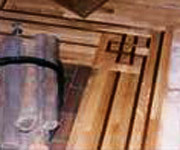 Rift and quarter sawn grade White Oak Plank was selected. 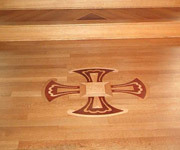 The design of the Anglican Cross was made with Summer Holly and Blood Wood and Maple. 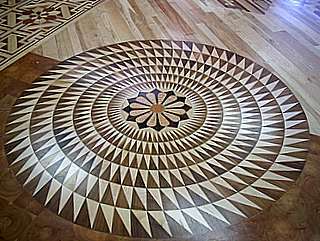 These designs mark the beginning of my desire to create more “visual” design through the combining of various wood grains and textures. 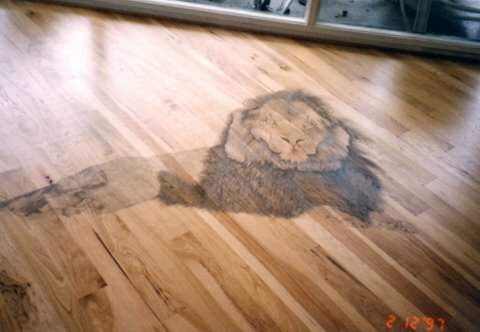 The lead female singer of the "Circle of Life" from The Lion King commissioned us to do this job. 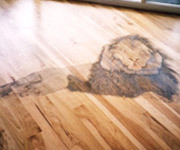 The Lion King was burnt into the hickory floor installed to sit under her grand piano giving homage to the great success she has from singing.. 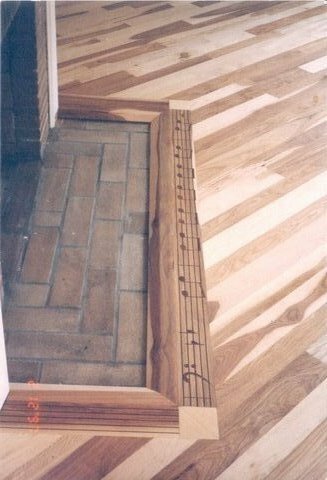 The first three measures of the song "Circle of Life" was inlaid into the border around the fireplace.